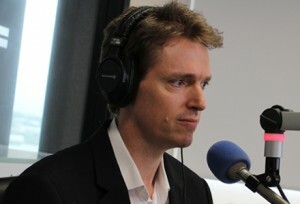 In an interview with RadioLive’s Marcus Lush, Conservative Party leader Colin Craig this morning admitted that he runs what could be described as an underground smacking ring, in which he occasionally accepts the money of strangers in exchange for disciplinary services that include hitting their children. Craig, who says he feels his candidacy in this year’s election won’t be affected by his not having a real last name, is strongly opposed to a 2007 law that technically made it illegal for parents to use physical force as a disciplinary measure. “Oh, look, Marcus, I already do occasionally give my kids a light smack, and, you know, now and again, I do accept money from the odd stranger to smack a kid, yeah,” said Craig. “I mean, I travel all around this country at the moment, and I’m talking to people, and they say to me ‘Colin, will you accept this $50 note to just slap my wee Callum on the buttocks a few times, teach him a lesson?’ and I don’t really see anything wrong with that. “I think New Zealanders had it right in the referendum, and we’ve still got it right today,” he said. A police spokesman told media this morning that no action would be taken against Craig, despite his admission, and said he did not want to be drawn into a political issue during an election year, unless it was specifically about his salary.